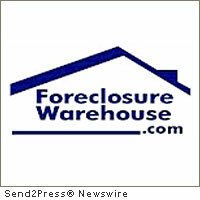 March foreclosure sales rose 35.1 percent in California, according to the latest ForeclosureRadar report. Notice of Default filings in California rose to their highest level since October 2010, up 17.3 percent month-over-month to 26,615 filing. Notice of Trustee Sale filings declined for the third consecutive month, down 3.3 percent overall from February. Year-over-year foreclosure filings were down with Notice of Default filings falling 19.7 percent and Notice of Trustee Sale filings dropping 31.0 percent from March 2010. After a slow February, foreclosure sales rose with sales Back to Bank (REO) up 28.6 percent and properties Sold to 3rd Parties, typically investors, jumping 61.5 percent. On a daily average basis those increases were just 5.0 percent for sales Back to Bank (REO) sales and 24.3 for properties Sold to 3rd Parties. The average Time to Foreclose continues to climb, up 4.1 percent month-over-month to 302 days, a significant 83.4 percent increase year-over-year, and a new record. San Jose is the third largest city in California. San Jose is the largest city in the San Francisco Bay Area. Some exciting places to visit include a number of museums, Raging Waters which is the largest water park in the Bay area and Santana Row, which is a shopper’s paradise. San José has a world-renowned quality of life, offering a wide variety of exciting cultural, recreational, educational and entertainment opportunities. Also the city has the nation’s best public safety record of any metropolitan area, a marvellous ethnic diversity and a beautiful climate; reasons which have led to more and more people settling down there and hence a flourishing real estate in San Jose CA. If you are planning on selling your property in San Jose CA, the first thing you should ask is “how much is my home worth?” Up to date information on CA real estate gives you the best chances of selling your home. You could log on to real estate websites such as www.carolpefley.com, and do some research first before hiring a real estate agent to list your home. A realtor can help you sell real estate in San Jose CA. Since realtors come with experience they can help you get the best deal in the shortest period of time. Their marketing plan can give your home optimum degree of visibility in short order. They can bring the best marketing and negotiation skills to the table. They work very closely with you to make your property more marketable, helping you to price it correctly, qualifying buyers and reviewing the offers. They help you to minimize the stress with clear accountability and regular progress reports. Successfully selling real estate in San Jose CA requires a lot of consideration to the condition of the house. All the cleaning and prepping can be worth the effort. There are also things to consider while getting a service from a realtor. The seller is the one who pays for the realtor and not the buyer; these are the most important things you should know. San Jose in California is the third largest city of the State. In the entire US, it is the 10th largest city and is located in south of San Francisco bay. It is home to about 7.5 million people and when it started of, it was more of an agricultural land. The quality of life and the various opportunities it offers is world-class. San Jose has a proud record of superb public safety, pleasant climate and various ethnicities. In the real estate sector, there are many new homes for sale in San Jose CA. Due to the vast land use by the city’s commercial and industrial sectors there is an increased land re-development that has taken place. This has led to land being used for large scale home construction. From townhomes, condos to villas, there are a whole variety of homes for sale in San Jose CA. If you are looking for homes for sale in San Jose CA, you can start out by looking at my website link below. Listings usually include the description of the site on sale, its neighbourhood, area map, photos of the property, area size and the sale price. You will get the benefit of choosing from new or old homes for sale in San Jose CA. My website also offers online user-friendly search tools, to make your search faster and comprehensive. Some things to keep in mind while looking for your next home is doing your research: The very first one is the budget you have decided for the home purchase. The amount of investment that you want to make will largely influence your decision making process. The second thing is the location of your choice. The price of the place will vary, depending upon the location. The third point includes the specific features of the house that you may be on the look out. If you are unable to find each of these conditions fulfilled at one place, then you need to find a harmonious balance between all of them.